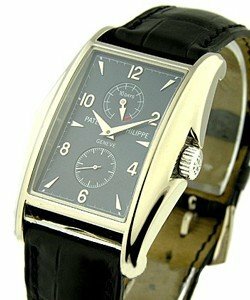 This watch is also known as: 5055R-001 , 5055R/001 , 5055R.001 . 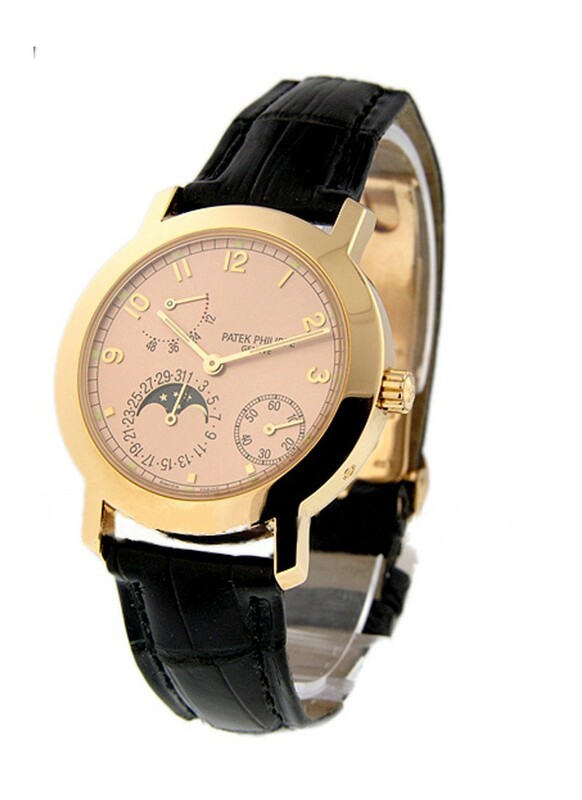 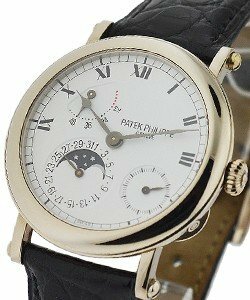 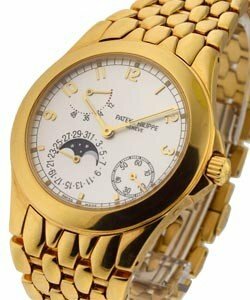 This high quality Patek Philippe Complicated Ref No:5055R features a 18K Rose gold case on a leather strap, white dial, seconds sub-dial at 4 o?clock, moon phase and date at 7, power reserve indicator between 10 & 11 o?clock, gold hands and Arabic numerals, water resistant up to 25 meters (80ft. 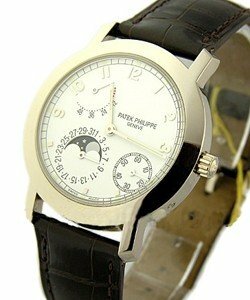 ), sapphire crystal, power reserve up to 48 hours, 36.4 millimeters in diameter, automatic movement. 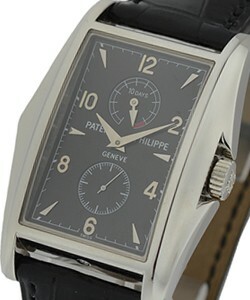 Also availble in white gold. 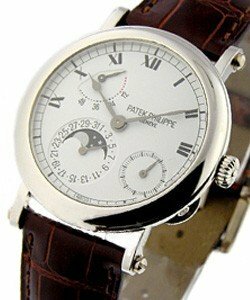 All this features make Patek Philippe Complicated an exclusive timepiece with a strong personality.